A Set of Shadow Diamond Multi seat covers and steering wheel cover, custom made. A Set of Purple GiraffePrint, Seat covers and steering wheel cover, custom made. 1 Set of Sadie Owl, Seat Covers and the Steering Wheel Cover Custom Made. 1 Set of Winter fleece Shadow Diamond Multi Print. Seat Covers and Steering Wheel Cover Custom Made. 1 Set of Strawberry Pink ChevronPrint, Seat Covers and the Steering Wheel Cover Custom Made. 1 Set of M&M Print, Seat Covers and the Steering Wheel Cover Custom Made. 1 Set of Came/Deer Head Print, Seat Covers and Steering Wheel Cover Custom Made. 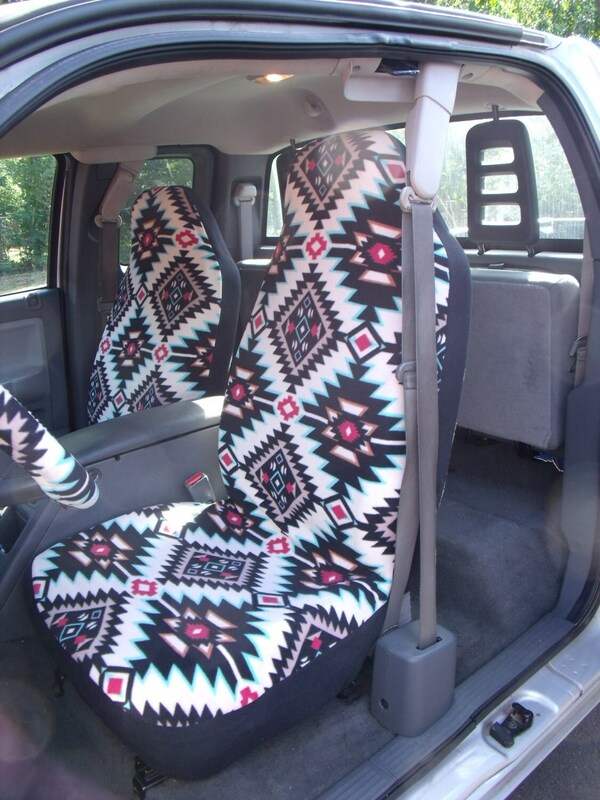 1 Set of Purple Turquoist Aztec Print Seat Covers and the Steering Wheel Cover Custom Made. 1 Set of White/Grey Chevron Print Seat Covers and Steering Wheel Cover Custom Made. 1 Set of Little Mermaid print, Seat Covers and Steering Wheel Cover Custom Made. 1 Set of Red Moondance Print Car Seat Covers and Steering Wheel Cover, Custom made. 1 Set of Turquoise/White Chevron Print, Seat Covers and Steering Wheel Cover Custom Made. 1 Set of The Little Mermaid Print Seat Covers and the Steering Wheel Cover Custom Made. 1 Set Of Black and White Chevron Print Car Seat Covers and Steering Wheel Cover Custom Made.